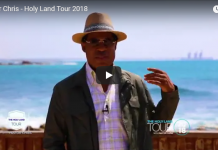 Pastor Chris, the founder of the LoveWorld Incorporation, is in the midst of his eight-day extravagant trip to the Holy Land. 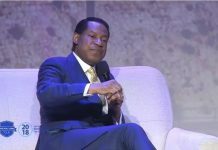 The fifth day of this marvelous tour was an indicator of the great success the Christ Embassy church was able to achieve in this Israel visit. The day was glorious, packed with site-seeing of many Holy places. 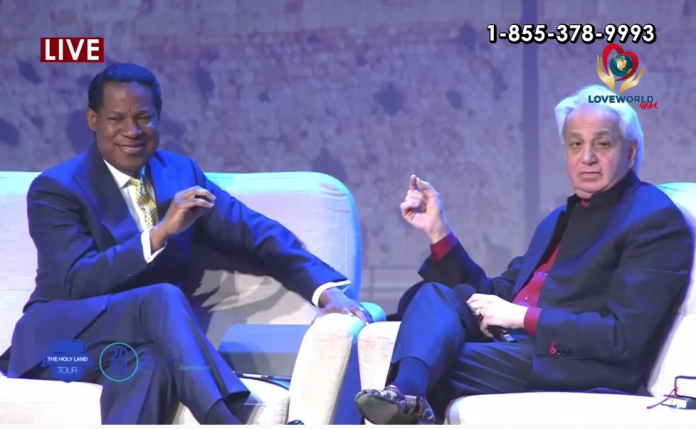 Additionally, Pastor Chris held an outstanding ministration with the American televangelist Pastor Benny Hinn. The group accompanying the Pastor started the day with a Jeep ride through the famous Burma Road, a makeshift bypass road from the 1948 independence war. The road was built in order to connect the Hulda Kibbutz and Jerusalem. The road was named after for the Chinese Burma Road. At the time, there was a siege on parts of Jerusalem. Participants of the tour were able to understand the deep struggle and sacrifice it took to build and create an Independent Jewish State. For lunch, Chris’s entourage joined him for a traditional Bedouin meal held in a tent. The Bedouin (“desert dwellers”) tribes are groups of nomadic Arab people historically inhabiting desert areas in the region. Additionally, they made a quick stop at Neot Kedumim, a Biblical landscape reserve. The reserve exists to teach the Bible in context by bringing it to life, it is an ecologically restored land from the scripture. To conclude this marvelous day, Pastor Chris Oyakhilome and Pastor Benny Hinn gave an uplifting ministration in front of hundreds of followers from across the world. 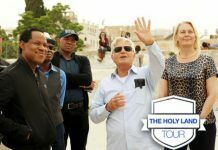 Benny Hinn Joined the Holy Land Tour with Pastor Chris earlier this week, making it a highlight for the LoveWorld Incorporation. The two delivered the glorious word of God, speaking of the divine revelation the Lord provides us through Jesus Chris.